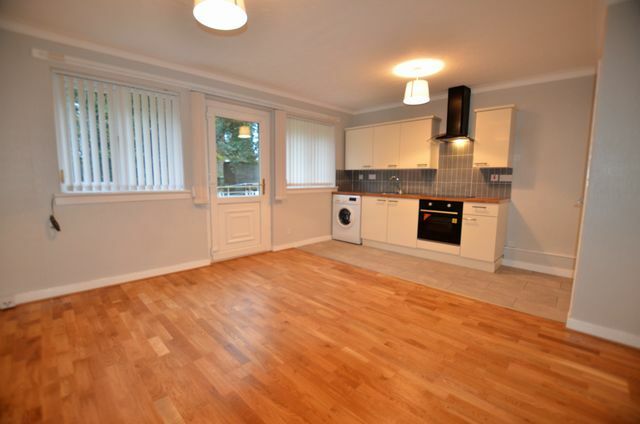 Fully refurbished compact studio style one bedroom ground floor flat located in Shawlands - close to all the shops, bars, restaurants on Kilmarnock Rd and also Shawlands train station. The flat has entrance hallway, storage cupboard, super stylish bathroom with shower over bath, spacious and bright rear facing living area and kitchen with small balcony overlooking the communal gardens and bedroom with fitted wardrobe to the front. Would ideally be suit for a single professional. Electric heating.